The rebirth of the legendary action-platformer! Continue the age old saga of a wanderer who was born a Prince. AN IMMERSIVE SINGLE PLAYER EXPERIENCE: follow the epic storyline of the original game in 14 levels rendered in visually-stunning 3D. A BRAND NEW COMBAT SYSTEM: fight with multiple enemies, unleash devastating combos and acquire new weapons for increasingly thrilling fight sequences. INTUITIVE CONTROLS DESIGNED FOR TOUCHSCREENS: experience the highly-acclaimed Prince of Persia platforming gameplay, and perform fluid acrobatic moves to overcome challenges! How to get this game for free? 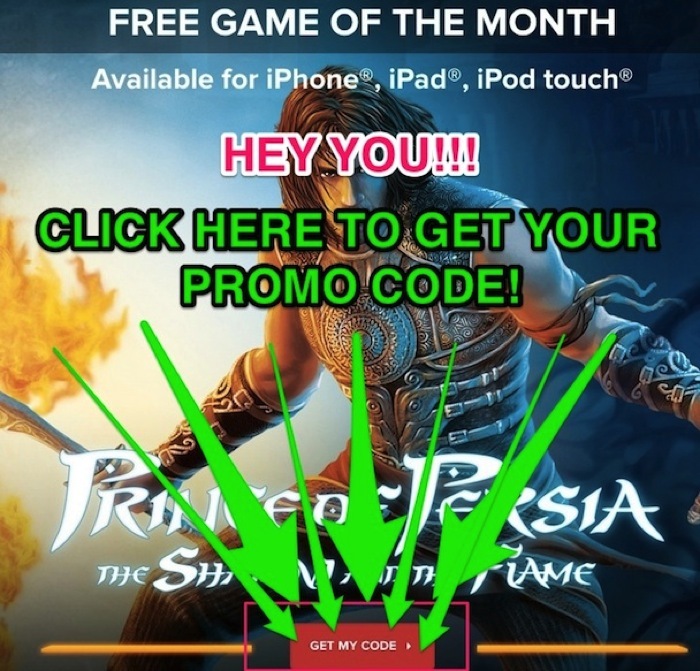 Click here to visit IGN, then click on “GET MY CODE” as pictured below.